Kunlun Red Star President and General Manager Raitis Pilsetnieks gave an interview to KHL.ru, in which he spoke about the 2017-18 season, the kind of system in place at this new club, and the global ambitions of Chinese hockey. 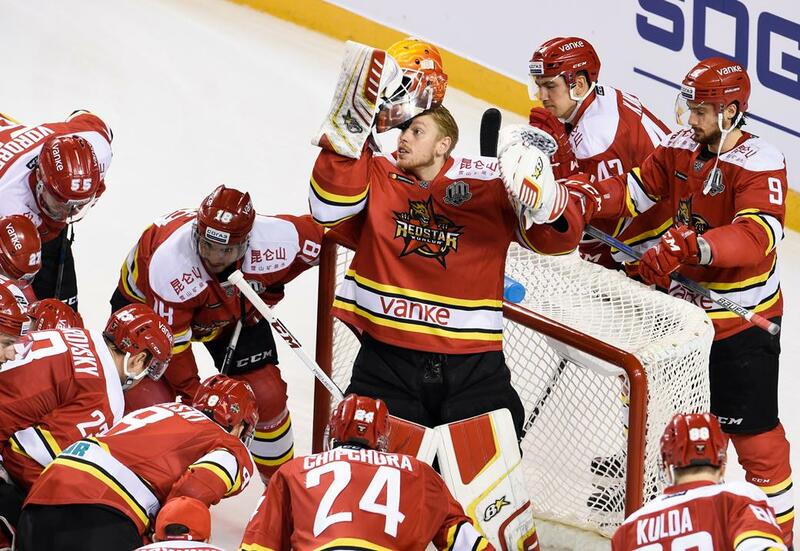 Officially, the Kunlun Red Star KHL team had the shortest season of all in the League, having negotiated an early (January 28) end to the regular season, but for the club itself the hard work merely continued and intensified,right up to the end of April. 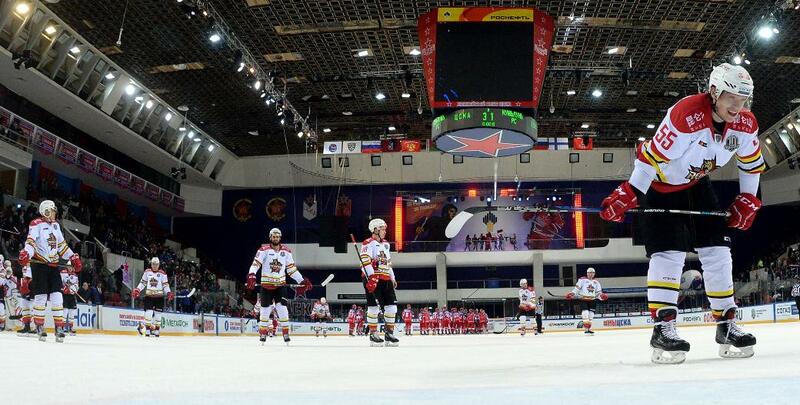 The People's Republic's ministry of sport handed Red Star a clear mission: to be the foundation and springboard for preparing a Chinese national team to compete in the Beijing 2022 Winter Olympics, so with KHL business done and dusted, the focus switched to getting the men ready to compete in the IIHF World Championship Division IIA, held from April 23-29 in Tilburg. It provided a valuable test for Team China, who had won promotion with victory in Division IIB the previous year. 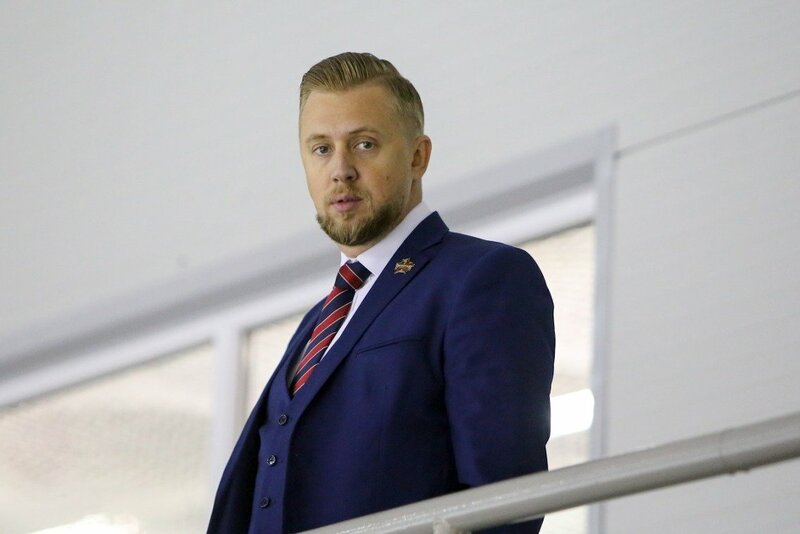 Before joining the staff at Kunlun, where his multi-tasking combines work with the club's Youth Hockey League team, China's national U18 and U20 teams, as well as in the Kunlun boardroom, Mr. Pilsetnieks had enjoyed spells on the coaching staff of Dinamo Riga and Lev Praha, but we began by asking him about the most recent past, namely the exploits of the national team, which bounced back from losing its first three games to record convincing wins over Iceland and Belgium. – It seems you ended the season on a high note. You must be pleased with the Chinese team's performance in the Netherlands. – Yes, we can say the team achieved the minimum task set before it. Of course, the main goal of any team in a tournament should always be victory, but when objectively assessing the situation you need to set yourself sensible and realistic targets. Therefore, our mission was to keep our place in the division for next year. For this, we had to finish outside the bottom six nations, and this we achieved. – Would you call it a historic result for China? – I think so. Two years ago, the Chinese team was also competing in Division IIA, but failed to keep a foothold, losing all five matches and dropping down to the level below. Now we are back, and this time we performed much better, banked two victories, and finished fourth. The results of our matches in Tilburg are good indicators of the progress the Chinese national team has made in recent years. In fact, most tournaments we play in are very similar, in that we are facing rivals who are close to us in the world rankings, so the dynamics of the team's progress or otherwise are easy to track. If we take Iceland as an example, we can obverse that they faced China back in November of 2015 in the Olympic qualification tournament, and inflicted a convincing 11-3 defeat on our team. In April of 2016, the two nations faced off at the World Championships, and this time the men from Iceland won 2-0, but when the pair met last year the Chinese won 3-1. And we just posted a 5-2 victory over the Belgians, whereas two years ago we suffered a 2-3 defeat..
And even in our matches against teams that we still have not beaten, the games are becoming tighter and more fiercely contested. Against Serbia – again, starting in 2015 – our record reads 1-5, then 0-3 in 2016, and then 1-3 in 2018, and while I understand if the following example makes you smile, but against the Netherlands two years ago we lost 0-9, compared with 0-7 this year. You could put a couple of these results down to a statistical blip, but taken all together they give us a whole picture, with all our results improving steadily. Some might say the improvement is insignificant, while others might claim the opposite, but the progress is there, nonetheless. Over this past year, Kunlun Red Star has grown and evolved as perhaps no other club has ever done. It might be hard to imagine, but last season the club had just one team, and this year it has seven. – Were any of the Chinese guys from North America part of the national team roster in Tilburg? – No, because IIHF rules state that they have to play in the country for two years before being eligible to play for the national team. In addition, China has quite a lengthy and complex naturalization procedure. In many countries, it is quite simple to obtain citizenship, and it is not always necessary to have family ties to the place. An example is South Korea, host of the recent Olympics: and with a team featuring several naturalized North Americans, so clearly the procedure for issuing passports there is not so complicated. In China, it is a far more serious matter: you must prove you have Chinese roots, not just via your parents but your grandparents also. As a result, the procedure can take a long time, far longer than one month, so the question of naturalized players participating in the World Championships is one for the future. However, this makes the current success even more laudable, because it was achieved solely by domestic talent, guys raised in China, and who recently graduated from the Kunlun hockey school and have been playing in the VHL and YHL Championships. And I'll give you another important fact regarding our performance at the World Championships: our team was the youngest of all the six participating teams in the Division, with an average age of 22, while the other teams were in the 24-27 age range. Isn't this another encouraging indicator of the prospects of Chinese hockey? – So, the World Championships gave Kunlun a happy ending, but overall, is it not fair to say that the rest of the 2017-18 season was not a successful one? After all, neither in the KHL, nor in the VHL, nor in the YHL did any of your teams reach the playoffs. – Indeed, I cannot say we were particularly pleased with the sporting results this season, but perhaps it was to be expected. Too much effort was spent on developing the club and its infrastructure. It's clear now that in setting ourselves such a huge number of different tasks which had to be carried out simultaneously, we bit off more than we could chew. But while the results on the ice were disappointing, in development terms the season was not merely a success, but a real breakthrough. Over this past year, Kunlun Red Star has grown and evolved as perhaps no other club has ever done. It might be hard to imagine, but last season the club had just one team, and this year it has seven. 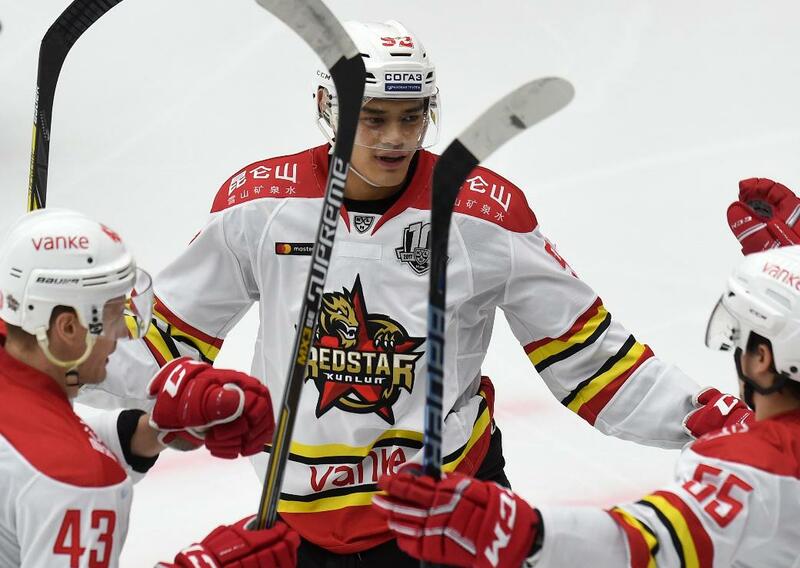 – We know three of the seven – Kunlun Red Star, KRS Heilongjiang and KRS Junior – as they play in the KHL system. What about the other four? Can you tell us a little about them? – Two of them are women's teams. We must not forget that the Olympic hockey program comprises two tournaments, and our club has been given a mission to nurture and develop men's and women's national teams. To achieve this, we created two women's teams – KRS Shenzhen and Shenzhen Vanke Rays. As the names suggest, they are based in Shenzhen in China, but they play in the Canadian Women's Hockey League (CWHL). Moreover, since we were talking about the on-ice results, I should mention that KRS Shenzhen did qualify for the playoffs and made it to the final of the Clarkson Cup. A victory in the final was beyond them, alas, but it was still a highly creditable performance by the team. Mike Keenan not only worked as the head coach of our KHL team, but we also asked him to share with us his vast experience in hockey organizational matters. And Keenan tackles everything with the same amazing energy. – With all due respect, the Clarkson Cup is hardly a coveted trophy, famous throughout the hockey world. – I agree, yes, in the popularity stakes it is not exactly a Stanley Cup or a Gagarin Cup, but as they say, the devil or otherwise is in the detail. The Canadian women's team is historically one of the strongest on the planet, and had won four consecutive gold medals at the Olympics going into the Pyeongchang games, where, admittedly, they were beaten into the silver medal place by the USA, but only via the shootout. There were 17 players from Canada's Olympic team roster spread among the three teams which accompanied our team into the CWHL playoffs. So can you imagine the high level of competition in that tournament? I think it is the toughest in women's hockey. Therefore, even though the Clarkson Cup might not be among the most prestigious trophies in the world of hockey, it is still far from easy to win it. – What about the other two teams in your club's system? – Boys and girls, up to 18 years of age. They're based in North America: the boys in Toronto, the girls in Boston. Players at this young age should not only be learning how to play hockey, but they also need to continue with their academic studies. Because of this, we devised an experiment in which we send the teenagers to the Academy for a few months, where they combine their academic learning with regular competitive hockey games in the high school leagues. Yes, in many ways, the whole season has been an experimental one because of our debuts in the VHL and YHL, so it's a little like like sending out weather balloons. – And now successful were these experiments? Will they continue? – The first question I can unequivocally answer in the affirmative. Each of our new teams yielded valuable experience for us, although not everything, of course, went perfectly. We also had our fair share of problems, but overall, I repeat, we gained very good and valuable experience. As for whether everything will continue, it is too early for me to say. We're still in the early stages of our journey in the development of Chinese hockey, so every new step we take needs to be thoroughly examined before we decide to continue along any given pathway or try a new route. At the moment, we are still in that evaluation stage, after which we shall draw our conclusions and decide which experiments should be continued and which should not. – Let us now talk about the KHL team, which is the public face of the club. After the success of the debut season, when the team qualified for the playoffs, expectations were understandably high. And the arrival of Mike Keenan, with so much experience and so many trophies under his belt, only served to intensify these expectations. What went wrong? Do you now consider Keenan's appointment a mistake? – I'll answer the second question first: no, it was certainly not a mistake in any way! The main reason for the failures was the one I gave earlier – we were tackling too many tasks at once. Mike Keenan not only worked as the head coach of our KHL team, but we also asked him to share with us his vast experience in hockey organizational matters. And Keenan tackles everything with the same amazing energy. Taking charge of team affairs was only one of his functions, and I don't just mean he helped out with training methods. Today, a head coach at a new, professional hockey club has to maintain harmony in the locker room, make sure the medical equipment is complete and up-to-date, supervise the guys pouring the ice, and even manage the cleaners – Keenan was involved in all of this, and tried to bring in the best of the practices he'd witnessed over his long career. He actively helped out with the new VHL and YHL teams, checked that all was well, offered advice and suggestions, and it was the same with the women's team and the juniors. That is probably why he sometimes seemed distant from the team. Yes, the results were disappointing and there is no point in denying that, but Keenan improved many of the processes and habits at the club, and the infrastructure he set down will develop further. Mike himself will continue to work for the club as a consultant, because he is still a member of our International Coordinating Council. So we still value his experience, even if he is no longer on the coaching bench. – Jussi Tapola will be at the helm, as you have already announced. – Yes, after fulfilling his obligations to the Finnish Hockey Federation, he will sign a contract with us and become our new head coach. But for now, he continues his work with the Finland national team at the World Championships in Denmark. And we are thinking of adding another missing piece to the jigsaw. After two years, Kunlun is yet to have a single Czech player, so it's time we corrected this. Overall, as I said, the team will remain a multinational one. – Do you know yet who will assist him? – He has already found one assistant – his fellow countryman, Jyrki Aho, and he, by the way, was coach of the China team at the World Championships in Tilburg, so he has already written his name down in the history of Chinese hockey. – Is it fair to say Kunlun Red Star is abandoning a North American style of development in favor of a Finnish model? – I wouldn't make such a generalization. Since the day of its conception, our club has been an multinational one, and the team has featured players from nearly a dozen different countries. This will still be the case next season, since we are convinced that a wealth of different experience is vital for the development of Chinese hockey. As for the tendency among head coaches to put their faith in players they know, preferably compatriots, that is only natural, so for us, of course, we will see some new Finns. In the KHL there are several players with whom Jussi Tapola worked successfully back at Tappare – for example, Veli-Matti Savinainen, Olli Palola, Blake Parlett (as you can see, I named not just Finns, but a Canadian as well), and we will try to seamlessly weave them into the team. – It looks like we will once again see significant changes to the playing staff. – Yes, but not to the extent that we saw last year, as we have been trying to hold on to as many players as we can. We've signed new contracts with goaltenders Magnus Hellberg and Alexander Skrynnik, reached agreements with Rinat Ibrahimov and Taylor Beck, plus we also have a group of players already on two-year contracts – Pavel Vorobei, Luke Lockhart, Greg Squires, Brandon Yip, Brayden Jaw... We also want to keep Zach Yuen and Cory Kane at the club. In general, you need to slowly build toward stability, then we can safely say our young club is getting stronger and stronger. KHL.ru would like to thank the HC Kunlun Red Star Press Service for its assistance in preparing this material.